The JBL EON610 is a two-way 1000 W peak class D amplifier driven live sound reinforcement speaker that combines a wave-guided high frequency driver with a 10"" woofer in a bass reflex cabinet. AxcessAbles XLR-XLR20 is an affordable 20ft low-noise shielded cables with professional grade XLR male/female connectors. The EON610-Bag from JBL Professional is a padded carry bag with dual access zippers for the EON610 speaker. 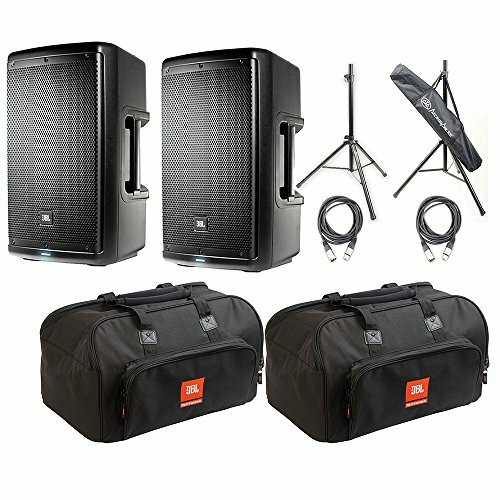 The Axcessables SSB-101 tripod speaker stand pack comes with two high quality, light weight speaker stands and a heavy duty carrying bag.